Slowing to a pathetic crawl, Alien movies have worsened in their progression, sustaining none of the momentum created by Ridley Scott and James Cameron’s initial entries. The series was knocked around with Alien 3 and hospitalized with Alien: Resurrection. And then there’s the Predator franchise, which had one healthy child and a second, sickly one; the former was a solid Arnold Schwarzenegger action movie, the latter featured a none-too-promising performance by Gary Busey. After seeing Alien vs. Predator (dubbed AVP by 20th Century Fox marketing), I really think Fox should consider pulling the plug on both. The studio took a cue from popular videogames where Alien and Predator face off, and from comic books where the movie monsters battle against the likes of Batman or Superman. The aliens’ eventual meeting should come as no surprise to moviegoers; in Predator 2, in the hunter’s space ship, we see an Alien skull displayed on the trophy board. Ever since that image, fans of both franchises have clamored for a movie on the subject. I was not one of them. I see no potential in watching movie monsters duke it out, since the concept rarely offers sympathetic human characters (see Freddy vs. Jason for a similar example). 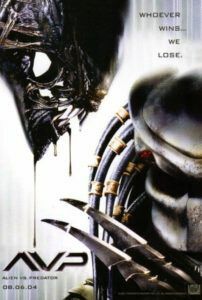 AVP was written and directed by Paul W.S. Anderson, the anti-genius behind Mortal Kombat and the Resident Evil franchise. His brand of big action and small story turns high box-office numbers, but also turns my stomach. Reliant on CGI-heavy effects and perfunctory slow motion action scenes, Anderson’s movies play out no differently than the games on which they’re based. His characters are as thin as tissue paper and his writing is filled with silly dialogue. I try not to judge a director’s potential, but he has yet to prove me wrong. Whenever his name is attached to a picture, I groan. Anderson starts us out with a wealthy independent mogul’s satellite discovering a heat signature buried under thousands of feet of Antarctic ice. Thanks to 3-D underground imagining, curiously familiar to that used in Resident Evil, we see a pyramid buried under the ice (more on that later). Said mogul, named Charles Bishop Weyland, is played by Lance Henriksen, better known as the “artificial person” Bishop in Aliens and Alien 3. Don’t expect to learn Bishop’s android origins in AVP; he’s just here as a familiar face, or perhaps to indicate the eventual appearance of the corrupt Weyland-Yutani Corporation in the Alien series. Rushing to compile a crack team of specialty scientists, Weyland enlists the rough terrain adventurer Alexa (Sanaa Lathan) as the team’s guide, failed archeologist Sebastian (Raoul Bova) to identify the structure, and doofy chemist Graeme (Ewen Bremmer) to date it. This is a body-count movie—a picture driven by killing everyone onscreen in new and inventive ways—so there’s your usual selection of ambiguous personnel to become Alien hosts, and of course military types with big guns to blast them away. We arrive at an Antarctic whaling station where, in the film’s prologue set in 1904, we see Predators hunting whalers for sport. One hundred years later, when Weyland’s team arrives, not much has changed with the place. Now, you’d think that being in Antarctica and unmanned for 100 years that the whaling camp might have weathered away. Alas, there’s a meager six-inches of snowy fluff over everything but not much damage otherwise. I’m shocked by this, because Anderson seemed so preoccupied with Antarctica-based trivia when writing the script. The first ten minutes of AVP are comprised of dialogue where Alexa instructs the others on the risky climate, how fast the freezing water will kill you, and what the Point of Safe Return is—all pointlessly interesting facts that hold no bearing on the subsequent alien war. The Antarctic setting is more of a way for Anderson to infuse the movie with illogical twists on established horror movie tropes (for example, the traditional false-alarm cat is replaced by a penguin). Alexa and her team set off triggers that spark the reanimation of a dormant Alien Queen strapped-in and penetrated with electrodes and such, coming to life like Frankenstein. She begins laying eggs, humans get face-hugged, Aliens burst from chest cavities, and the hunt begins. 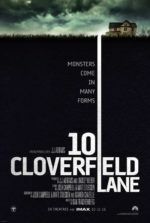 The ambiguous human characters get caught in a fight between ambiguous monsters, fighting an unintelligibly-shot mess of ambiguous CGI warfare. Following the decline of the Alien franchise, here the Aliens growl and sound suspiciously like Jurassic Park dinosaurs. Remember in Ridley Scott’s Alien when Ripley and the creature were alone on the escape shuttle; the Alien lets loose a throaty hiss ever-so-quietly, never screeching or roaring out like the silly monsters in this picture. Sequels have dissolved any fear for these archetypal movie monsters by revealing them in whole, bringing them out of the dark and making them disposable videogame villains. One dies, another one pops up, and who cares because they’re not frightening anymore. This movie isn’t scary or particularly thrilling. There’re no strong human characters (like Ripley) to link to (a requirement of movies featuring a variety of non-speaking aliens). Neither the Alien nor Predator franchises evolve or regain any of the lost ground they need to recoup—rather the opposite. 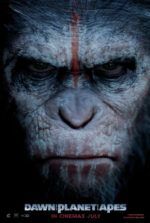 The movie is a full-fledged geek-a-thon, appealing only to those few who got a kick out of the videogames and poor, monster-laden comic books. Fox likely hoped AVP would consume its budget back in the first week or so of release; just enough effort was exerted to produce a curiosity-inducing trailer and get some teens into cinemas (Fox demanded a PG-13 rating, as opposed to the tradition R-rating for individual Alien and Predator movies). Their plan was a financial success, despite making an unforgivably stupid movie. Hence the sequel: Alien vs. 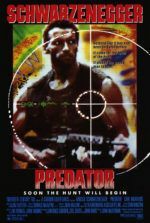 Predator: Requiem.